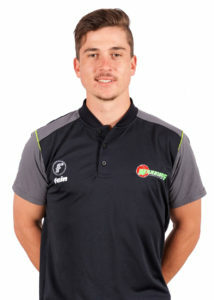 Matthew Breetzke is one of the up and coming young stars of South African cricket. The youngster who went to Grey High School in Port Elizabeth plays as a right-handed batsman and as a wicketkeeper. He has played for Eastern Province, Warriors and went to the 2017 ICC Under-19 Cricket World Cup with South Africa where he scored 115 against New Zealand in Christchurch. He made his franchise, domestic debuts through the course of 2017. Matt believes he brings freshness and desire in team since he is one of the youngsters. He loves fishing and braaiing when he isn’t playing cricket. His favourite memory on the pitch is when he top scored 115 against NZ in the u19 World Cup. If he wasn’t a cricketer, he would be a property investor and his favourite food is butter chicken curry. Matt watched his brother play cricket and chose to follow in his steps and he looks up to Virat Kohli and Kevin Piertersen.